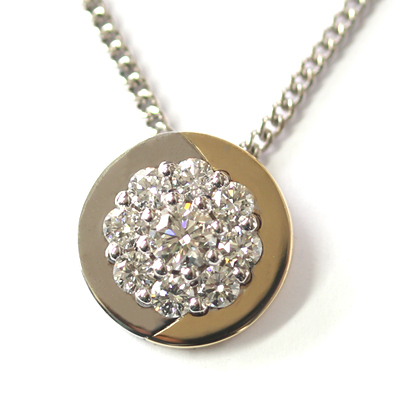 18ct White and Yellow Gold Diamond Circle Pendant — Form Bespoke Jewellers Ltd.
A beautiful diamond set circle pendant, cast in both white and yellow gold. The customer came to us with a bespoke design they had created for their partner. 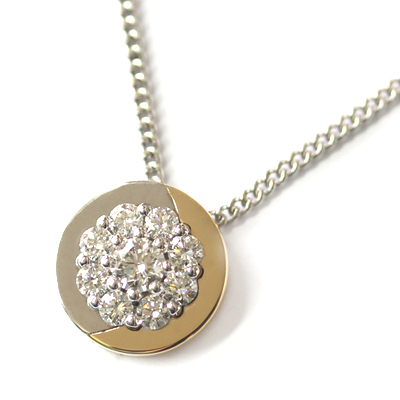 The design incorporated the combining of a white gold and yellow gold piece that came together to form a whole circle. At the centre of the circle is a halo of hand-set round brilliant cut diamonds. This flower-like cluster brings a pretty sparkle to the dainty pendant. 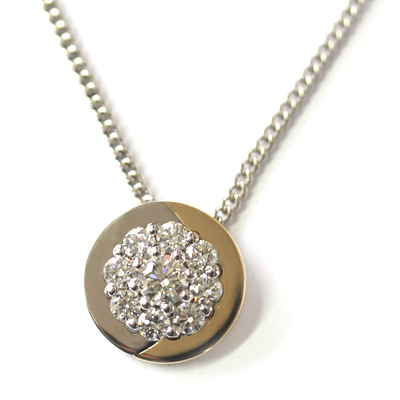 The two-metal diamond set pendant hangs on a delicate white gold chain. A beautifully sentimental and bespoke piece.